Strawberry-Vodka Jam sounds decadent and tipsy, but really it’s just a fantastically rich-tasting strawberry jam with very little added sugar and a deep, smooth, fruity flavor. The (admittedly quite small amount of) alcohol burns off, and one would assume that the balsamic vinegar would add an acidic punch, but it really doesn’t; all of the flavors meld to create a rich and delectable flavor. 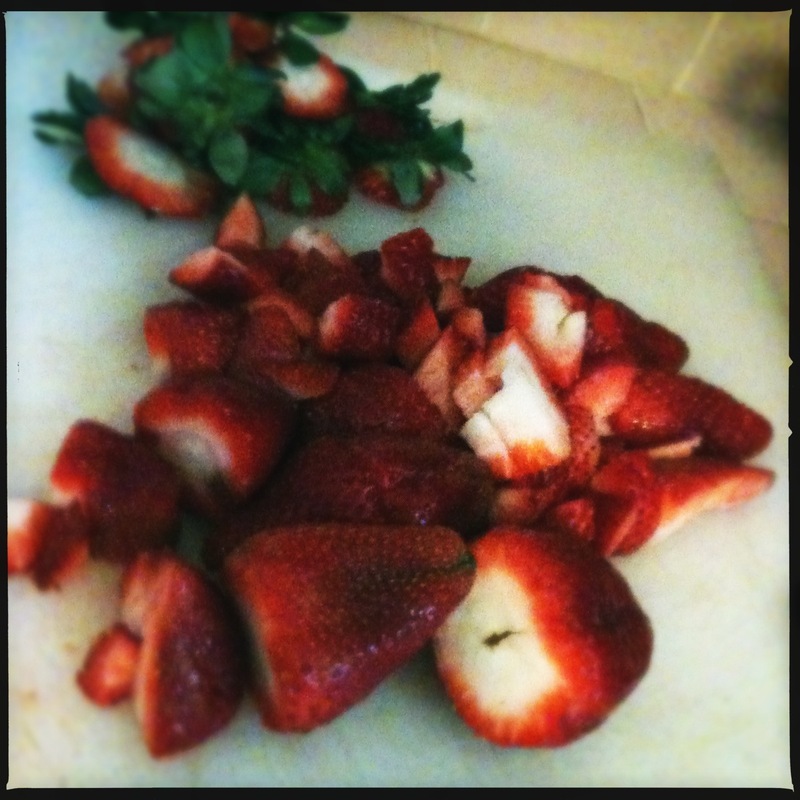 Start with about 2-3 cups of hulled and halved strawberries, and 1 cup of sugar. The berries don’t need to chopped finely or diced perfectly, just a rough chop should do fine because the berries will cook down a lot. 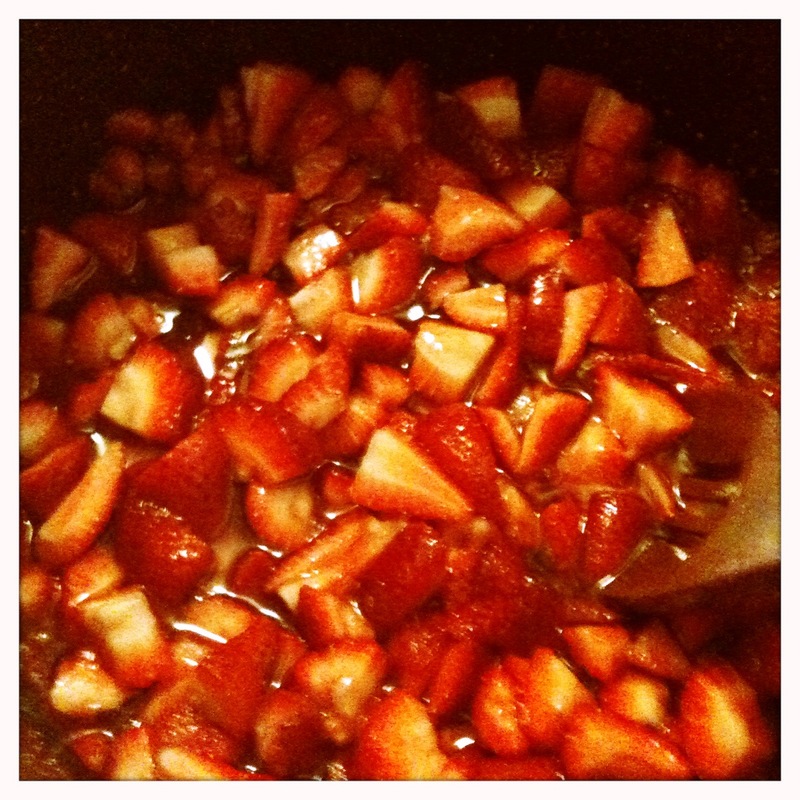 Once the berries start to soften, add a teaspoon of balsamic vinegar and 2 teaspoons of vodka. Boil rapidly for about 20-30 minutes or until the mixture starts to gel. You can use the old frozen plate test, but this starts to cling to your mixing spoon and the sides of the pot as it solidifies, so a test might not even be necessary. Ladle into hot, sterilized jars and seal in a hot water bath for about 20 minutes. This recipe yields about five 8-oz. jars. 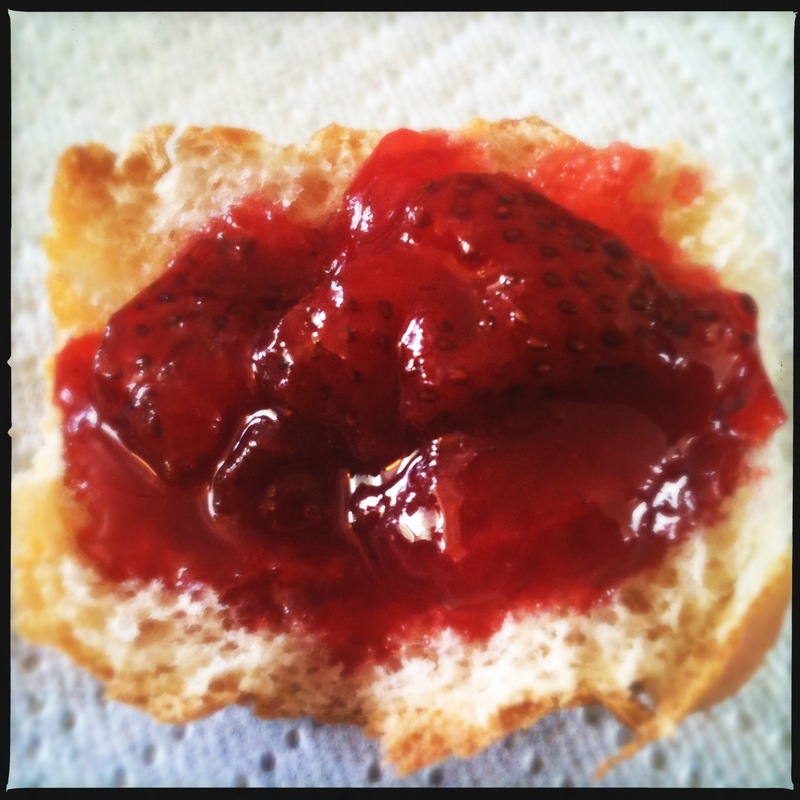 This entry was posted in canning, cooking, food, preserving, Uncategorized and tagged balsamic vinegar, strawberry jam, strawberry vodka jam. Bookmark the permalink. I just saved this recipe. I like to can strawberry jam each year from our pick-your-own harvest, and this looks like a great variation, especially since I love balsamic vinegar. I think you’ll be pleasantly surprised, it’s wonderful! Hi there! Just tried this and it is super tasty! I did, however, only yield 2 8-oz jars. Did I goof on something? Thanks! The other recipes show needing to light it on fire. Have you tried that? No I haven’t; but then again it’s only a tiny bit of alcohol. It’s how you seal jars for preserving. 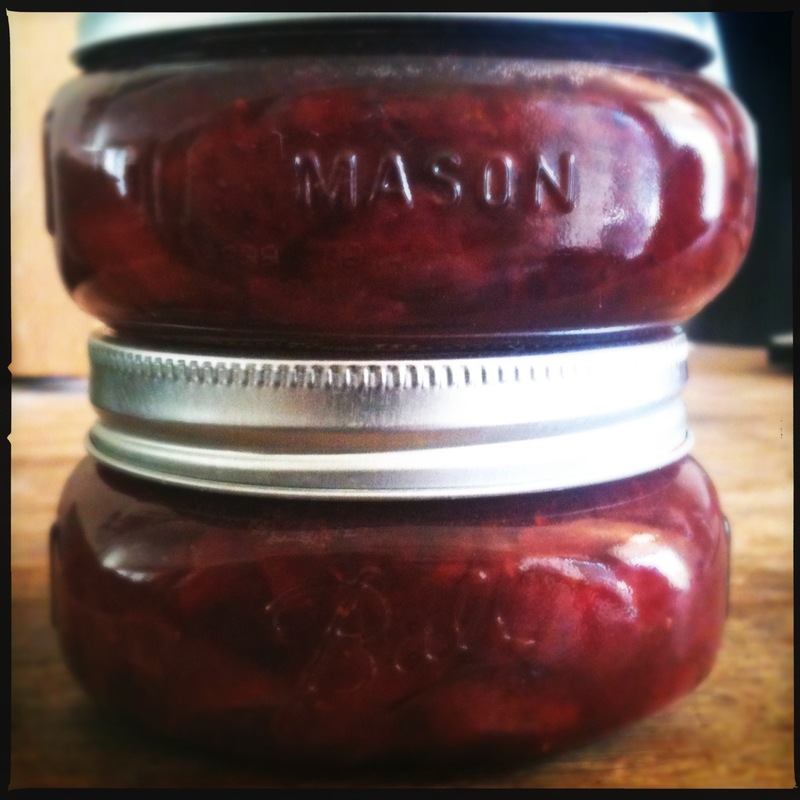 It’s super easy to do, but I’d google some jam-making and preserving tips if you’ve never done it before.